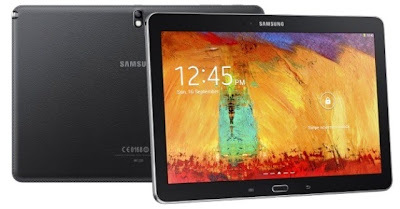 Bringing a new flagship of tablets, the Samsung Galaxy Note 2014 Edition will set a new standard in the Tablet industry. Featuring the Quad Core technology on Tablets, the Samsung Galaxy Note 10.1 2014 Edition will sky rocket in terms of speed, and big performances on display, thanks to its high pixel density per inch (299ppi) every detail on its screen can be captured like real life. Obviously the 10.1 inch display is quite a catch on tablets, specially for entertainment addict personalities, and by the way Note 10.1 2014 will be release in two variants (Quad Core and Octa Core). The Quad core version will be released with LTE support, while the Octa version will be released with 3G + WiFi, WiFi only versions. Maintaining that sleek and slim form which Samsung is good at, the Note 10.1 2014 Edition has been made to be unique among tablets, featuring a full HD video recording at 60fps (Frames Per Second), which renders a real time movement without any delay while taking the video. And you can use the tablet whole day since it is power pack with 8,220mAh battery, use everything of what can Note 10.1 2014 can offer. The Galaxy Note 10.1 2014 Edition will be released worldwide this October 2013. It will be released in 3G+WiFi, WiFi Only, and LTE versions. It comes with 16gb, 32gb, and 64gb to choose from, and two available colors namely Jet Black and Classic White. No pricing of Note 10.1 (2014) has been announced.